Eyeglasses correct vision, make people look more intelligent, and—when worn upside down—enable a dormant wad of gray matter in the brain to control the Hubble Telescope. Unleash your satellite-wielding capacities with this Groupon. 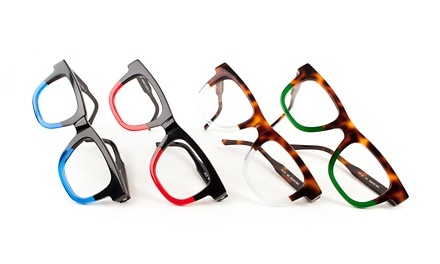 SEE Eyewear has been featured in O, The Oprah Magazine, GQ, and more. Limit 1 per person, may buy 1 additional as a gift. Limit 1 per visit. Valid toward complete pairs (frame/Rx lenses) only. Not valid toward designer frames, contact lenses, or non-prescription sunglasses. Not valid with other offers or the SEE Core Collection. Not valid with insurance. For option with eye exam: Glasses must be purchased on the same day of exam.